One of the ways to reduce the risk of cardiovascular diseases is by eating healthily. While non-modifiable risk factors like age, gender, race and heredity, play an important role in determining whether or not a person will fall into the trap, modifiable risk factors like excess weight, abdominal obesity, high LDL cholesterol, high triglycerides, high blood pressure, low HDL cholesterol, diabetes, sloth, stress and smoking also contribute to this killer disease. Fruits and vegetables. Fibre, antioxidants and micronutrients present in these foods have an immensely beneficial effect on the cardiovascular system. Fats & Oils. In excess, they contribute to overweight and abdominal obesity (large waistline), which become risk factors for heart disease. Trans fats in particular, have been associated with a much higher risk for heart disease. Omega 3 fats and monounsaturated fats have been shown to reduce the risk of heart disease. Animal foods were earlier considered to be enemies for heart health. But recent research shows that not all animal foods are bad. Red meats and processed meats are shown to increase the risk much more than white meats, eggs and dairy. Foods that are high in added sodium (salt, MSG, baking soda) increase the chances of high blood pressure, more so in salt-sensitive persons. Refined sugar, sweets, desserts, sugary beverages contribute to excess weight and high triglycerides, both of which are risk factors for heart disease. Bottom line is to eat plenty of fruits, vegetables, legumes, whole grains, millets. Include some nuts, seeds and dairy in the daily diet. If you are a non-vegetarian, take eggs or fish 2 to 3 times a week. Drink adequate fluids, keep yourself physically active, avoid tobacco in all forms, de-stress, and consult your physician if you are at risk. Maintain your weight and waistline within normal levels. 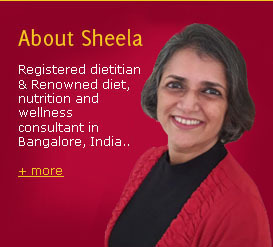 Do consult a qualified dietitian for a personal diet plan and maintain your heart health!